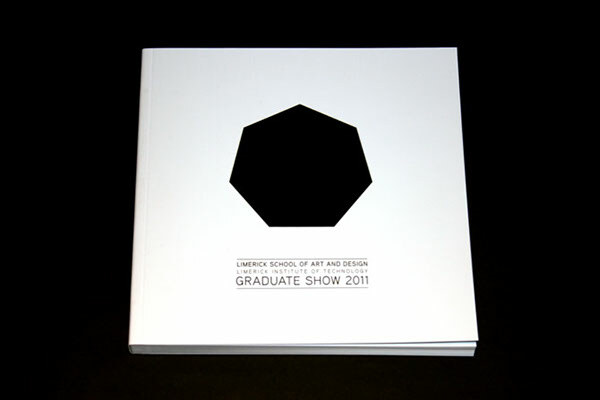 Graduate Show catalogue and other printed materials. 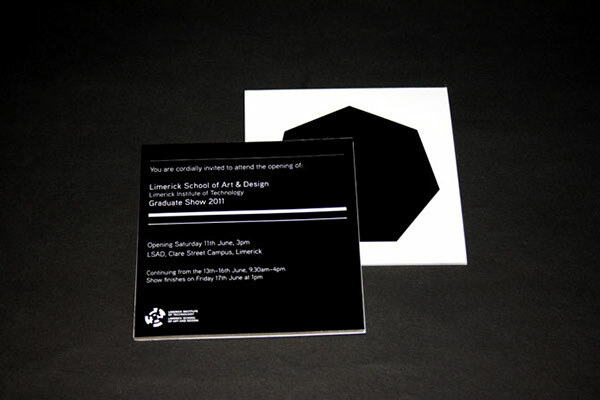 In 2011, I was lucky enough to get the chance to design the Limerick School of Art & Design graduate catalogue and promotional materials in collaboration with fellow classmate, Ceol Ryder. 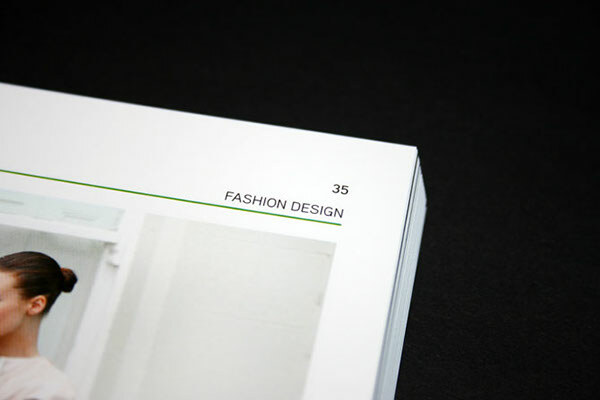 We pitched for the project, along with three other teams, and fortunately won the project. 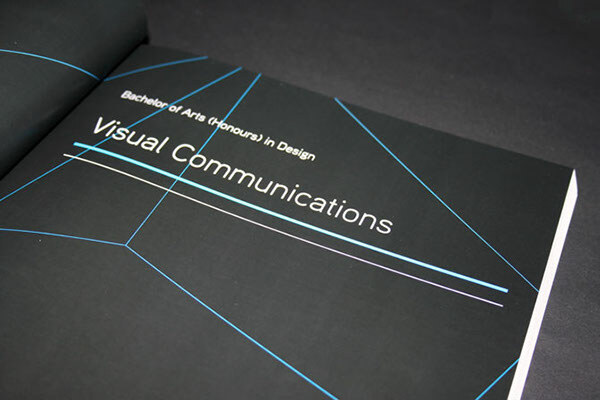 Our rationale for the project was to create a striking brand that intrigued our audience and reflected the seven fine art and design disciplines which make up the college. 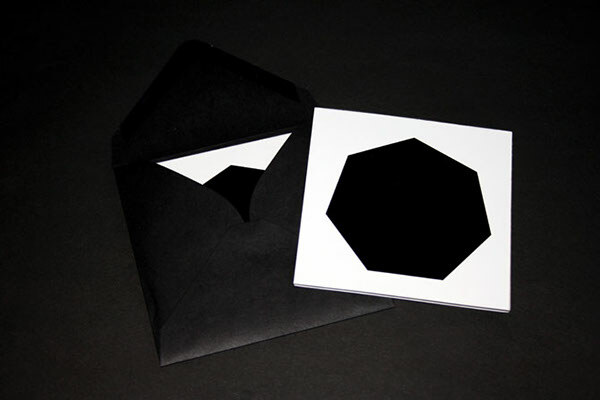 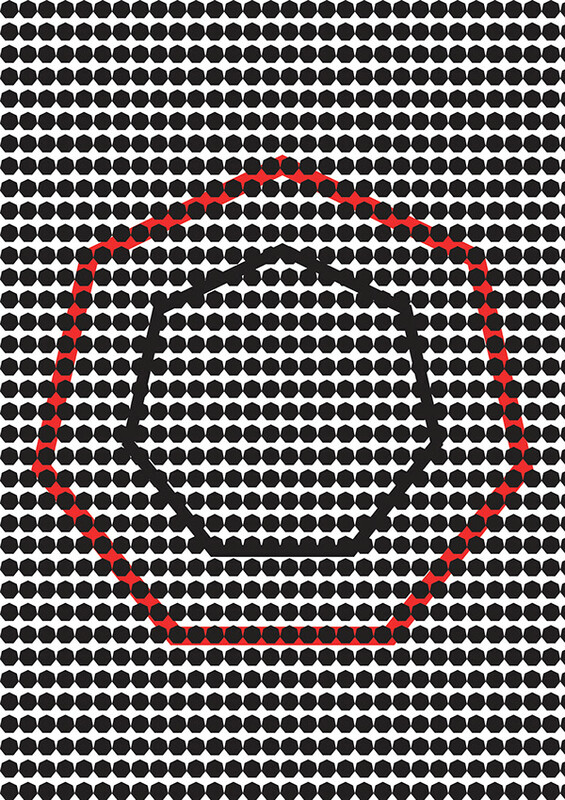 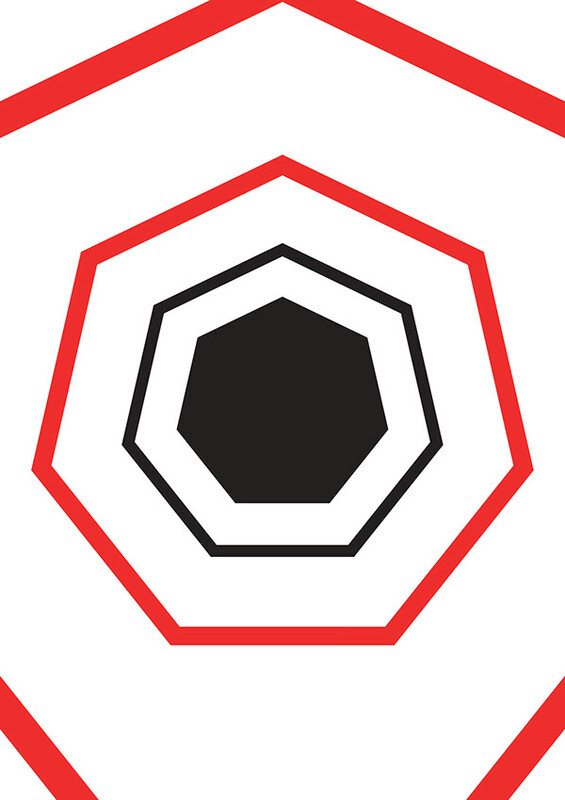 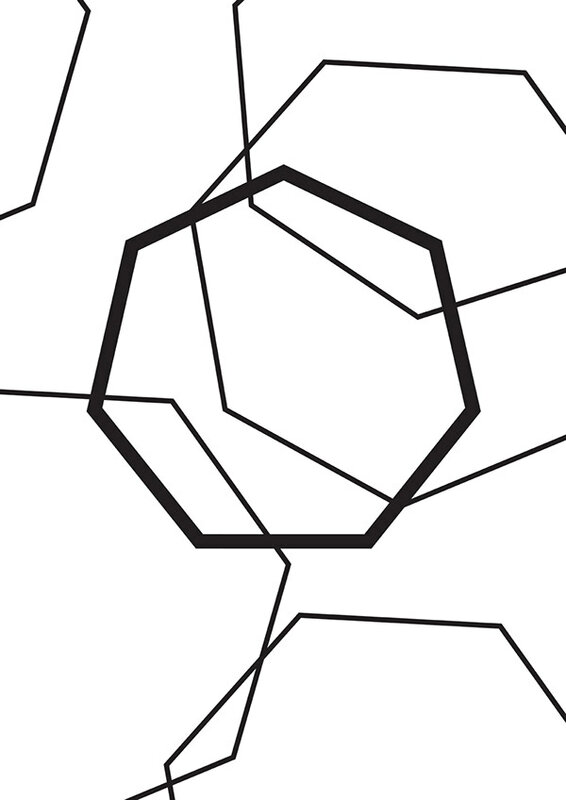 With this in mind, the septagon logo was conceived and this formed the basis for the catalogue and other materials. 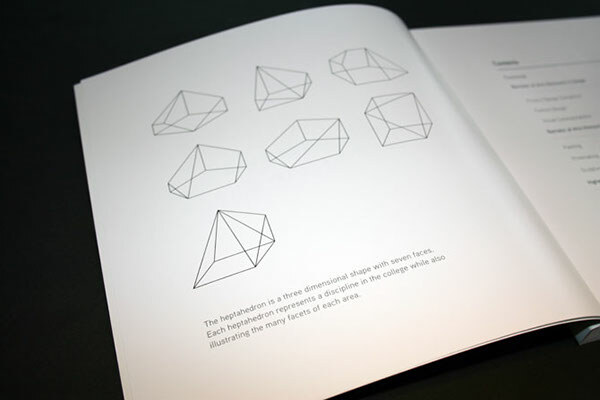 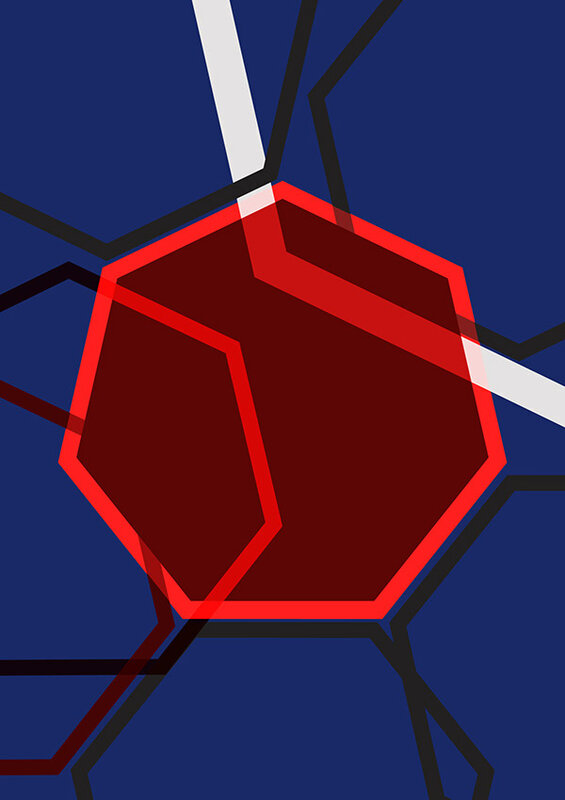 The seven sided shape formed a cohesive and striking logo that brought all the disciplines together as one. 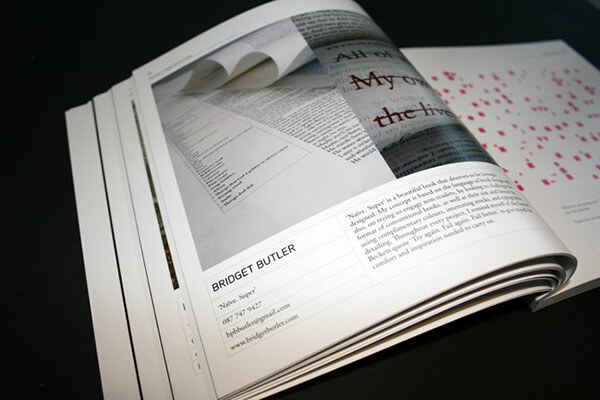 Our responsibility as designers was the to create a clean platform for each and every one of the students to showcase their work in the catalogue. 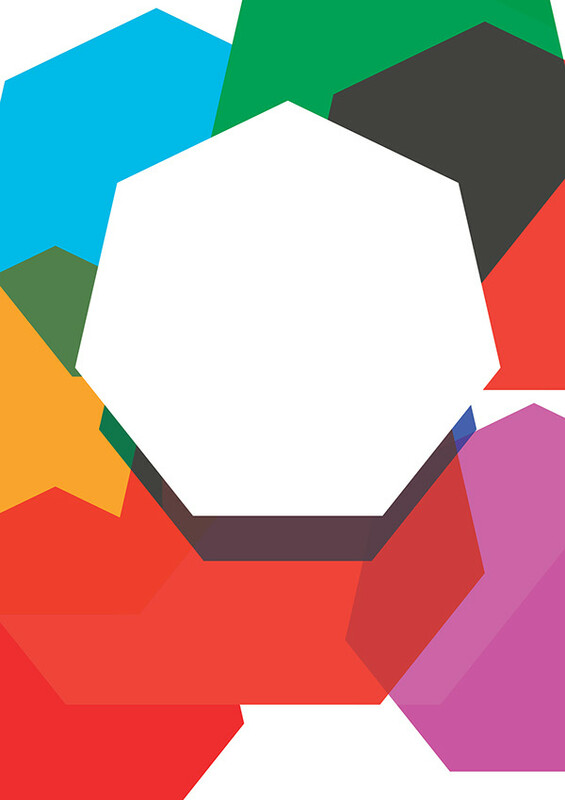 Nothing flashy. 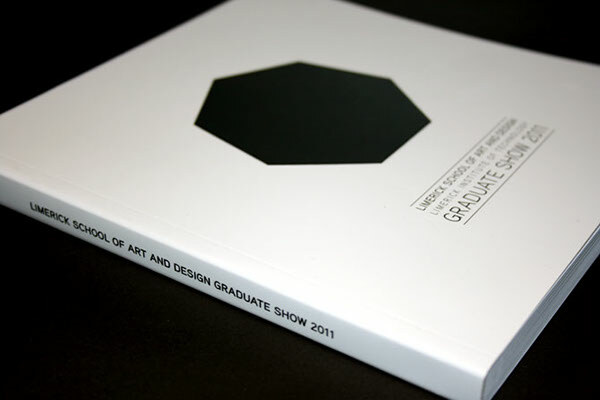 After all, we were creating something that wasn't just for our benefit, but for each individual graduate. 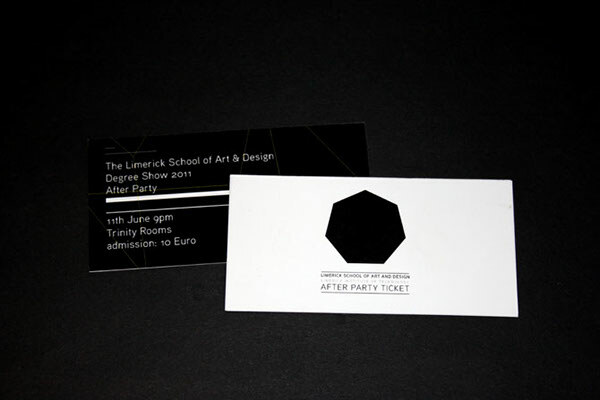 Invitations mounted on 5mm greyboard. 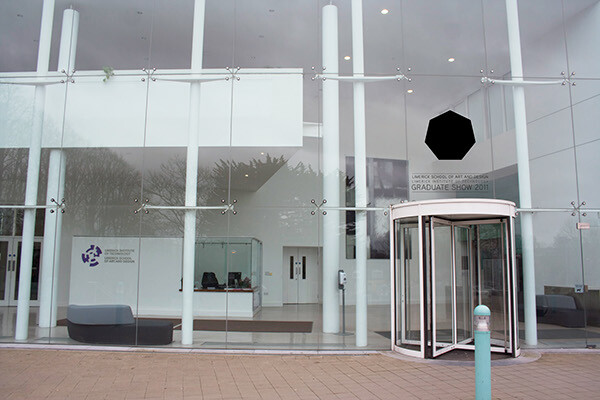 Vinyl display for the college entrance. 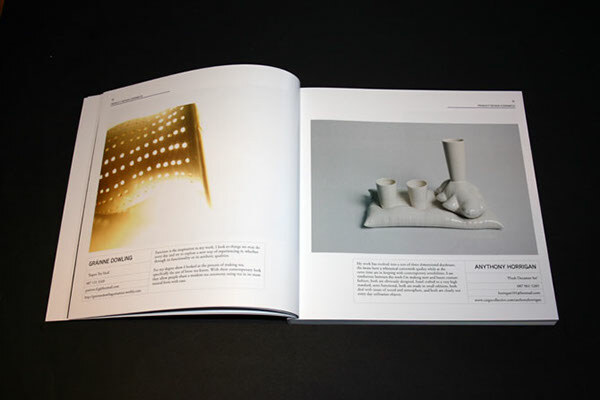 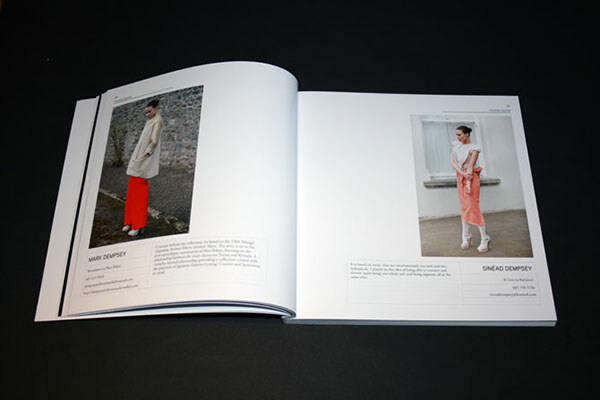 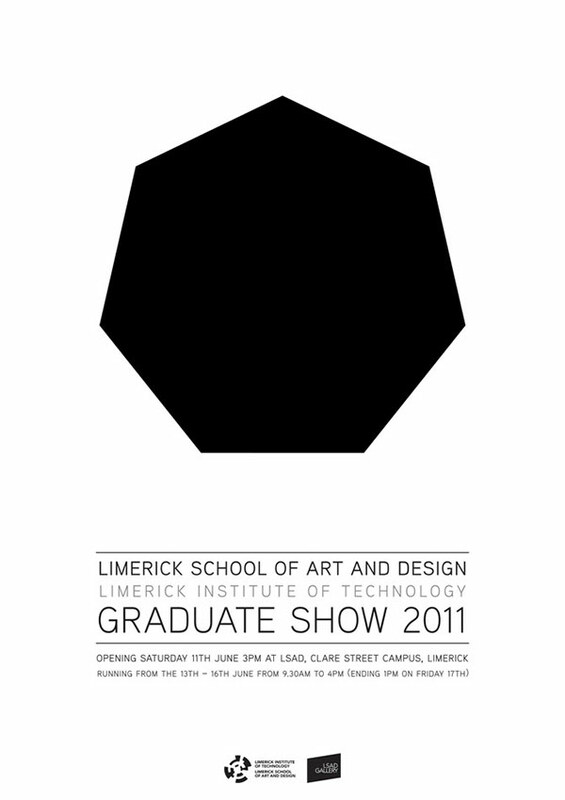 2011 Limerick School of Art & Design graduate catalogue and promotional materials.